Neurocysticercosis is caused when people ingest pork that has gone bad and is the root cause of several types of seizures. In a new study that was published in the journal PLoS Pathogens, scientists at the Baylor College of Medicine have discovered that Substance P is the culprit of neurocysticerosis. 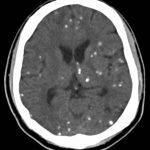 Neurocysticercosis is the main reason why people develop acquired epilepsy in developing countries, and it’s on the rise in the US. It causes seizures, headaches, and about 400,000 people in Latin America alone have it. 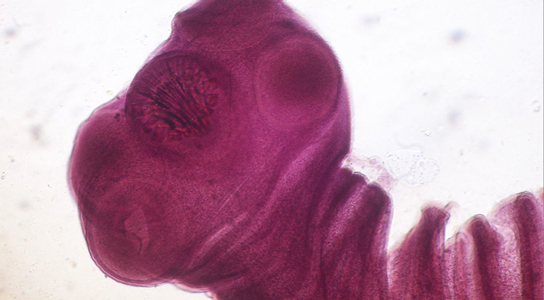 The pork tapeworm (Taenia solium) infects people when undercooked or fecally-contaminated pork gets into stomachs, where gastric acid allows the larvae to migrate throughout the body and become cysts. These oncospheres can migrate into muscles, eyes, and the brain, where they will cause inflammation. Substance P is a neuropeptide that’s known to be involved with inflammation and it was found in infected patients. Mice that were injected with this peptide suffered severe seizures. A drug that blocks the peptide prevented the seizures. Now the drug needs to be tested on humans. The infection still has to be treated, but the seizures could be mitigated through drugs. 2 Comments on "Scientists Find Cure for Neurocysticercosis, a Major Cause of Seizures"
I’ve Neugrocysticercosis since I was 14. I have gone for several treatments. I thought I’m okay since I’ve completed the course of taking medicine. But, just few days back I fall down again. Please suggest me what should I do to cure this sickness completely. Thank you!